Review Summary: On the whole this khichdi is just not yummy! On the whole this khichdi is just not yummy! Try stretching a wafer thin story and it’s bound to blow apart. 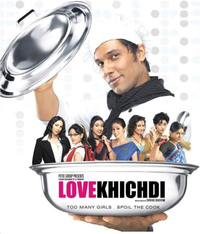 If only "Love Khichdi" would have come to the point at least 20 minutes before it eventually does it could have been a dish to be savoured.